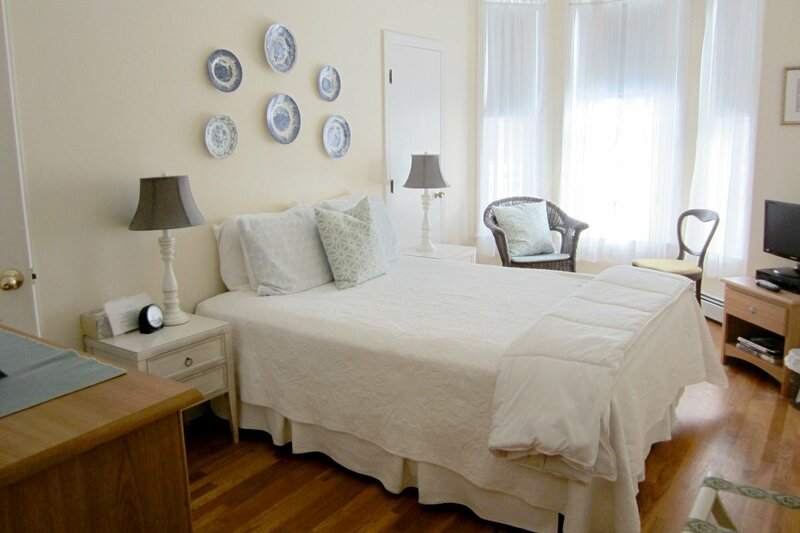 The Jordan Room, located on the second floor, is a very comfortable room with a blue & white theme. 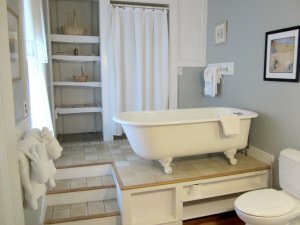 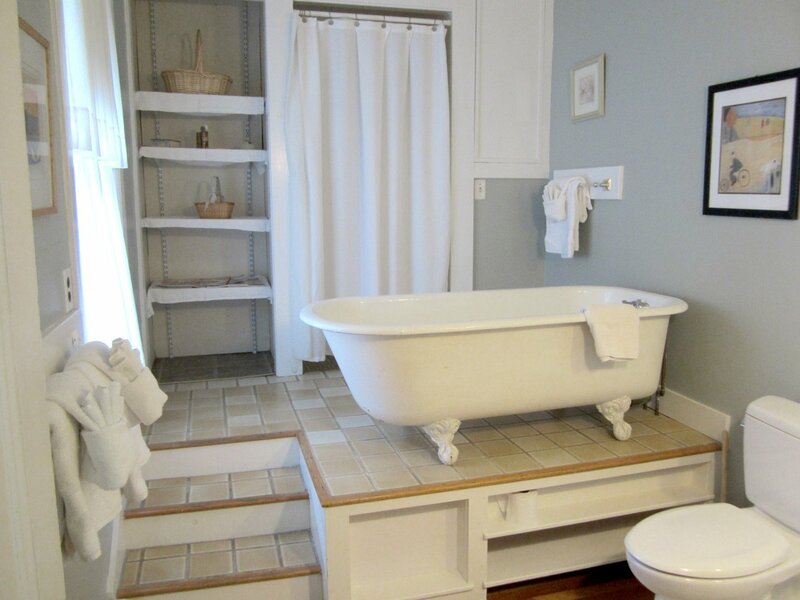 It has a queen bed and private bath with a clawfoot tub and separate shower. 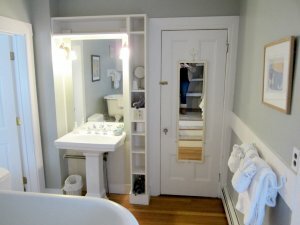 Our guests are always delighted to see the unique layout of the bathroom.